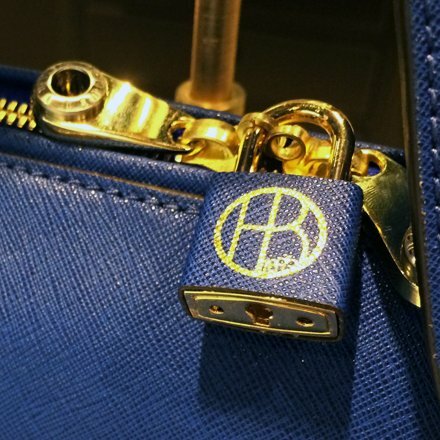 Henri Bendel takes security in its own hands with this Henri Bendel Branded Lock as handbag accessory. I have used similar on long distance jaunts (one 48 hours door-to-door from the Philippines) to insure my ”murse” (male purse) and gear did not wander off if I dozed. As purse security it would surely delay my wife’s access to her Black Card, but the branding was cool and quality impeccable. Step through views in the Henri Bendel Branded Lock gallery below.